They took a huge statue down 4 days ago too. I think they removed 16 statues in recent weeks. You're right...16 copper staties were removed. 1. They took a huge statue down 4 days ago too. 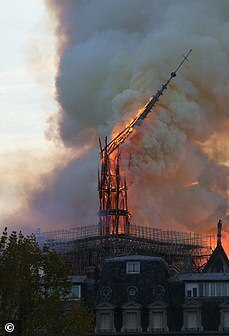 I Googled images and found a picture of cranes taking a gigantic statue down from the spire that burned today. That was good timing. At least those heavy bells didn't fall and drag the towers down with them. 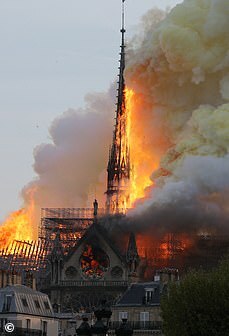 Those French firefighters did a fantastic job saving art, artifacts, and most of the remaining building. 2. I think they removed 16 statues in recent weeks. 3. You're right...16 copper staties were removed. 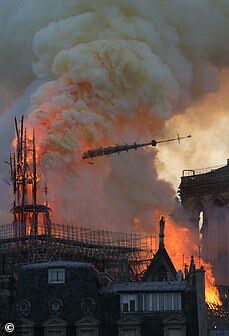 Paris: Sixteen copper statues briefly took to the skies over Paris after they were removed from the Notre-Dame cathedral to undergo restoration work. Tourists at the world-famous landmark were left stunned Thursday as the statues — representing the 12 apostles and the four evangelists from the New Testament — were lifted off the spire of the cathedral by crane. “It’s an exceptional event because we’ve brought the 16 statues down in a single day. It’s a magical moment for everyone,” she said. 5. 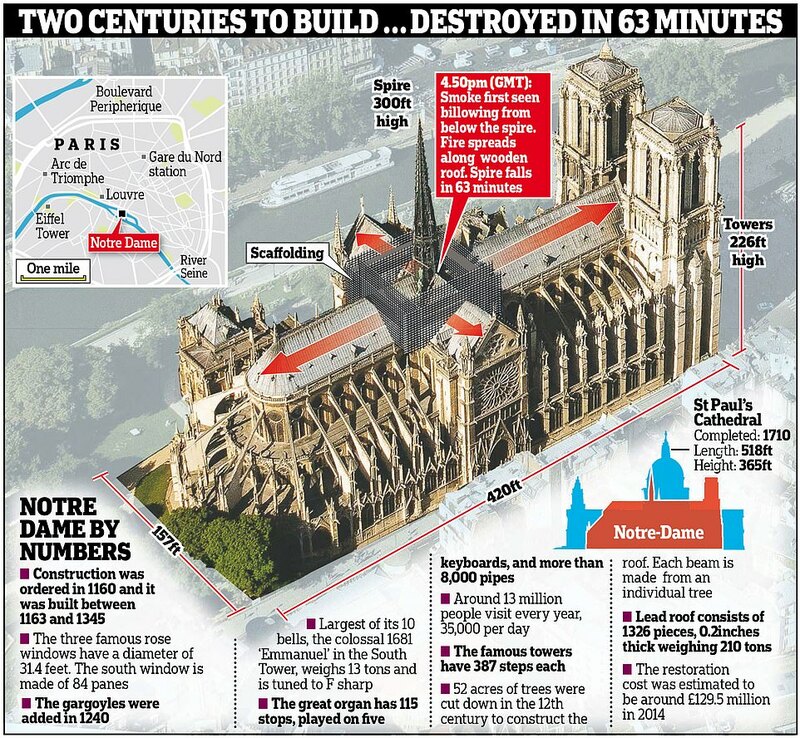 1492 America was "discovered"
just think about how old that cathedral is.